Vacations are adventurous and exciting but they can be quite expensive. You need more time to plan and travel. 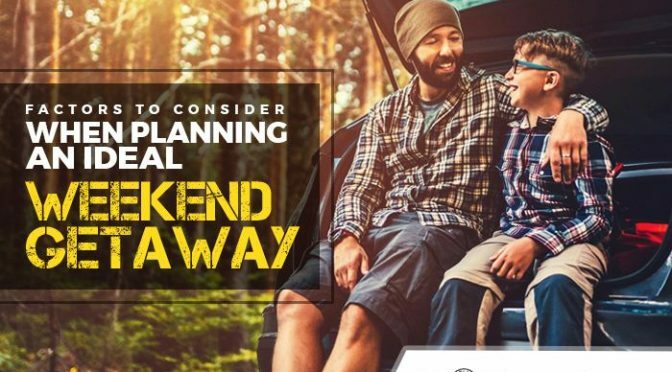 This is why many people choose weekend getaways over vacations. If you plan well, a getaway can be fun and rejuvenating. Here are certain things you should consider to make it an unforgettable experience. When deciding on a place for your weekend getaway, you should consider a destination that speaks to you. This means that if you are someone who loves water, pick out a location that will allow you to bask on the beach, picnic by a lake or kayak down a river. However, if you get excited by the idea of wandering in the woods, then pick out a location where you can go on a hike. In addition, there is also plenty to do if you wish to explore the city. Whatever your preferences are, remember that the location should not be too far away from your home. Your best bet is to find somewhere close by with features that excite you. Solo travelling definitely has its perks if you are looking for a break from people to enjoy some solitude. But, if you don’t mind the company of a few loved ones to make the getaway unforgettable, consider asking some friends to accompany you. It’s a good idea to bring your friends or partner to come along, as you will have good company to spend your time with and enjoy being with each other. Also, this ensures that you have trusted people with you throughout the trip, so you can all relax and have a great time. Using our phones or laptops have become a common thing during any given time of the day. But during your getaway, you should put aside all gadgets and just live in the moment. It’s possible that you will want your phone to be close to you for emergencies, but you should do your best to avoid going on social media websites and checking your messages and emails throughout the day. The airport may be close to you, but remember that this is not the only available option for your weekend getaway. If you ask around for recommendations or do a little research, you can discover great spots close to your home that you can drive to. For this purpose, hiring a chauffeured limousine service can be the best as it ensures you don’t have to worry about driving, looking for locations or carrying your luggage. You can feel assured that you will be picked up on time. The driver will monitor traffic and take you through the most convenient route ensuring an on-time drop-off at the specified destination. Also, the cars that limo companies use are well-maintained and climate-controlled ensuring that you arrive at your destination safely and in style. A weekend getaway is the perfect way to unwind and relax from the busy schedule we all have to adhere to. Also, it allows you to create new experiences and memories you will cherish. 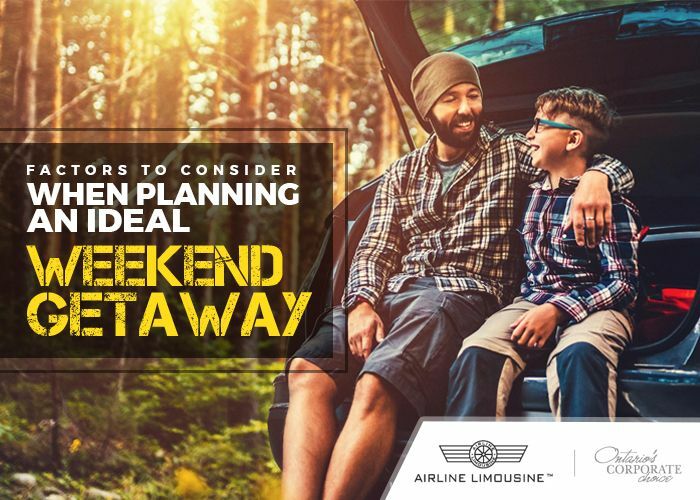 To make the most of your next weekend getaway, contact Airline Limousine. Our safe and personalized limo service is sure to offer you a great travelling experience to your destination.